Becoming a local landmark. Specializing in obscure, hard-to-find Jumpers for sale titles from centuries past. Fitting hundreds of thousands of books in a tiny storefront. 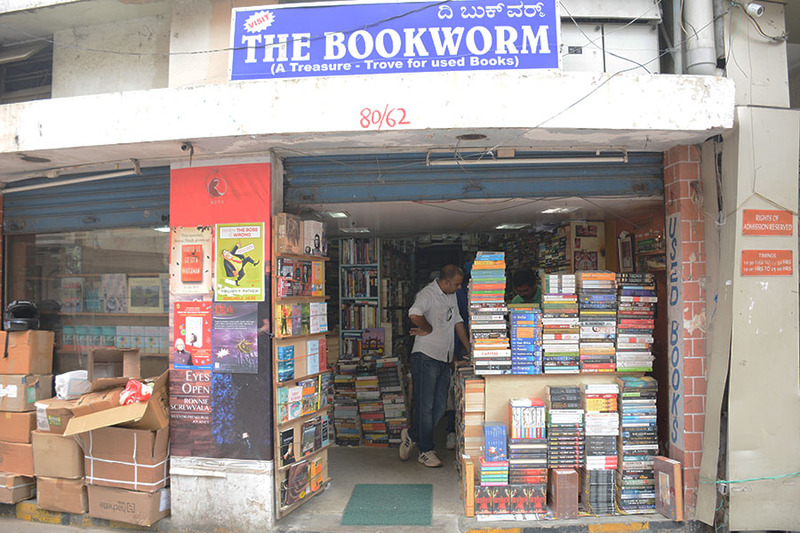 These are the ways that independent bookstores are surviving in Bangalore. The stores have held on in a changing industry by having their own personalities, understanding their clientele and knowing what kinds of books to stock. Owners say the emergence of large chain stores, online booksellers and e-books has not yet had a major effect on their businesses, but that might change. 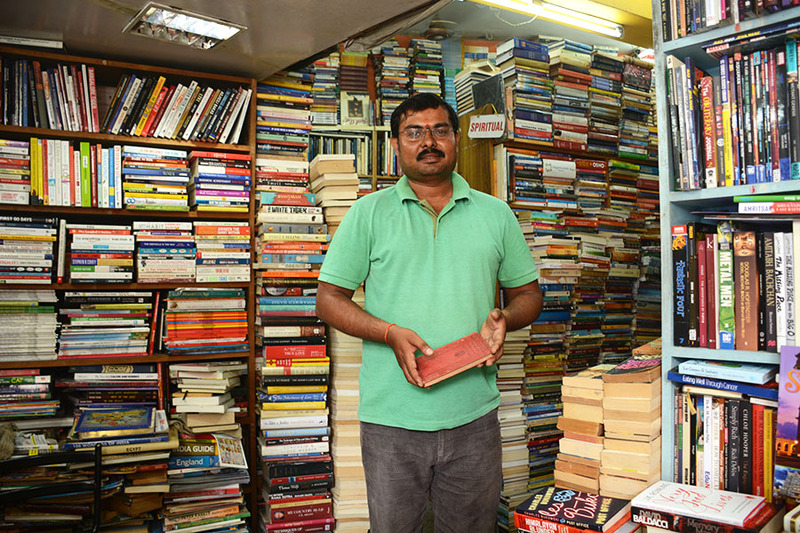 A reader in search of these booksellers could easily visit four of Bangalore’s independent shops in an afternoon. The storefronts of Higginbothams, Bookworm, Blossom and Select are all near Mahatma Gandhi (locally known as MG) Roadone of the busiest streets in Bangalore. A short walk through a tunnel alongside MG Road brings customers to a tranquil, sunlit courtyard. Higginbothams, working from temporary quarters up a winding flight of stairs, is somewhat barren and quiet aside from its noisy ceiling fans. Paul Emmanuel, the owner of Higginbothams, explained that many of the shelves were bare because the company was renovating and modernizing its nearby storefront, and so most of the stock was in storage for the moment. Higginbothams claims to be the oldest bookstore in India, founded in 1844 in Chennai. Its Bangalore branch opened in 1904. One employee, Anantharaj, whose father worked for the store for 50 years, is currently in his 47th year of service. Asked why he has stayed at Higginbothams so long, Anantharaj said he liked the company very much, just as his father had. But, he said, he did not think any of his three sons had the same interest. A short walk from Higginbothams is Bookworm. The store is roughly the size of a typical American bedroom—one crammed with thousands of books. The books lie on their sides, on shelves and anywhere else they will fit, yet they are organized in logical sections such as religion and science fiction. Krishna Gowda, who runs Bookworm, said his employees knew how to remove books for customers without causing the stacks to fall. A notable difference between Bookworm and other bookstores is that many customers do not go to the main location. Instead, the regulars go to a secondary location in the basement of a nearby building. It is more difficult to find, but it has four times the stock of the main storefront, Gowda said. Blossom’s style is similarly jam-packed, but instead of keeping most of the stock in a separate location, Blossom has so much stock in its four-floor area that the employees have stacked books alongside the stairs, in boxes on the fourth floor and in loose piles easily reaching up to a person’s waist. 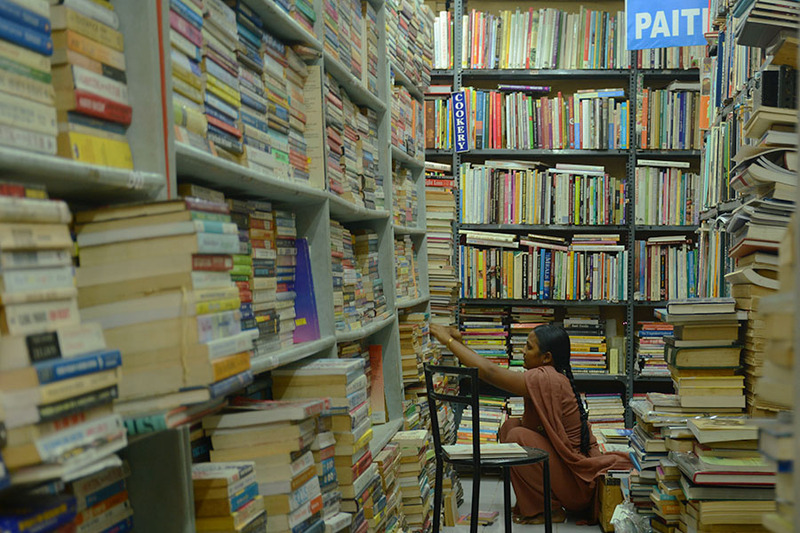 Mayi Gowda, the owner of Blossom, said that the store has the largest stock in India, at 300,000 books in the store’s one location, but that he has no plans on fixing the overflow because the number of books owned by the store has stabilized in recent years. Another Bangalorean bookstore is Select, run by K. Sanjai’s family. The store opened in 1945 and has a collection of rare and old books. Two of the oldest are a fifth edition of Newton’s “Principia,” and C. Sallvstii Crispi’s “Opera,” a collection of the works of a first-century Roman historian published in 1771. 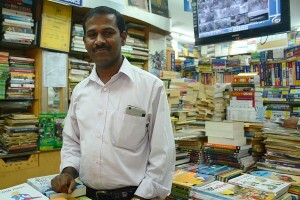 Sanjai said that increased use of online books has affected sales at his store, but he also blamed a shift in the interests of young people. His store carries many rare and lesser-known classic books, but younger customers are interested in either modern books or the most famous classics, not in the depth of his collection, he said. This entry was posted in Business and tagged Bangalore, Blossom, bookstore, Bookworm, Higginbothams, JWWIndia, Kevin Matyi, Select bookstore. Bookmark the permalink.